JORTH GAR – Living History Society | Portraying the Imperial Varangian Guard of the 10 – 11th Centuries, Gold Coast based garrison of the New Varangian Guard Inc. Australia. The Jorth Gar branch of the New Varangian Guard concentrates its living history re-enactment primarily on the earlier Varangian Guardsmen of Viking origin, and their many exploits and accomplishments. The orig inal Varangian / Scandinavian Mercenaries that were given to Basil II in 988 CE (as part of a military and trade alliance), that formed the nucleus of the Varangian Guard and became his imperial bodyguard in the palace and on the battle field. We will cover up until 1066, where the composition of the Guard started to change, and the ‘Viking era’ ended. 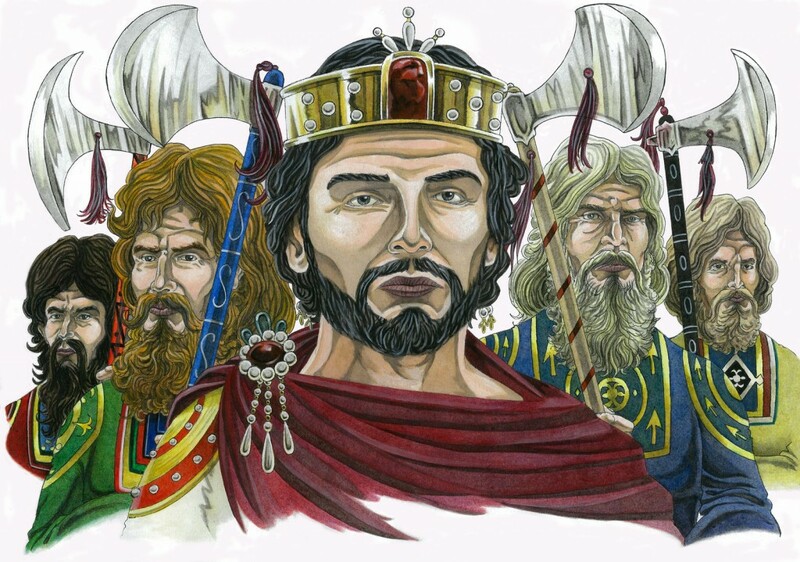 These Mercenaries were originally from Sweden and had spent many years of service with Prince Vladimir in Russia, taking down rivals and helping him to subjugate his lands. They had become furious with the Princes ‘incapacity to pay them correctly’ and had demanded to be ‘shown the way to Constantinople’. 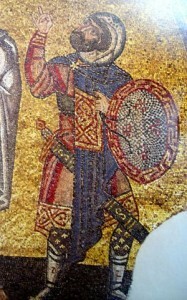 When Basil II had requested military aid from Vladimir to take down his rival Vardhas Phokas, Vladimir sent these ‘unruly warriors’ to help and rid himself of their financial burden. As the treaty between the Rus and Byzantines was also a trading one, many Scandinavian, Slav and Rus merchants and artisans would have accompanied this force to Constantinople to take advantage of this. Some would establish trade routes, others would seek employment in the Byzantine army to help equip its soldiers. Many of these warriors held fast to their traditional Pagan ideals and spirit, and derived inspiration from their ancestors and kinsmanship, even though their new employers were strongly Christian Orthodox. It is with these Varangians from which Jorth Gar derives its identity and focus. We also reenact warriors that returned back to their homelands after active service in the Guard, and have a strong civilian and family base within the group as a result. Jorth Gar is based at the Gold Coast in Queensland, Australia. We can field the largest infantry battle force in Queensland and quite possibly Australia (real weapon combat) from any single group. This can be seen and experienced at shows like the NEMAS Armidale Easter Gathering and the Abbey Medieval Tournament, which are the biggest reenactment events in the southern hemisphere. We are always recruiting for new members, and advise interested people to contact us (below) for more information, or to arrange to come to a training. Public are welcome to come and watch, but please remain at a safe distance when combat is underway, to avoid any injuries or problems. For more information, have a good look through our website. Just inquiring what is needed to become a member.